I thought this lunch would be a good chance for us all to get together and have a day out before the Adelaide Racing Carnvial starts in May! 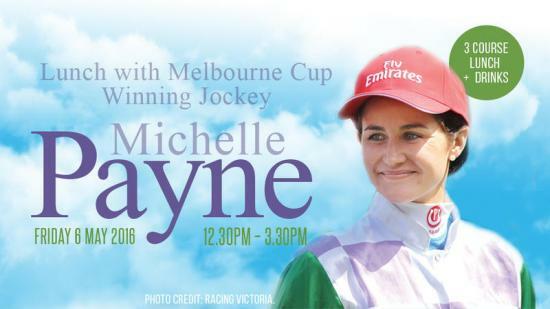 Michelle Payne will be here the day before Oaks Day at the Highway and Pam & I will have a table or two at this event. Tickets are $95 and include a 3 course lunch and all beverages. We'd love you to join us, so if you'd like to come along - click the link below and purchase your ticket. Make sure you write that you are with us, so that we can all be seated together. Looking forward to having a great day out, she certainly has an amazing story to tell.